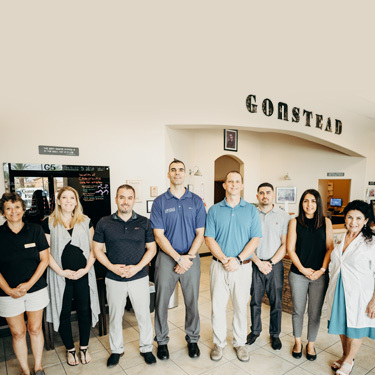 Dr. Jeremy Moffitt opened Gonstead Family Chiropractic in 2004. It became one of the most respected and best-known chiropractic offices in the Coachella Valley. Joined by Dr. Eric Davenport and Dr. Ricardo Valdivia, Dr. Jeremy and his team are committed to serving the families in our area with natural health care. Our goal is to make sure our patients are able to get healthy. Having great health starts early in life. We emphasize the importance of chiropractic care for babies, children and expecting moms. It’s our goal to make sure that your kids grow up avoiding common problems. We’ve gotten incredible results for our pediatric patients. Many of these kids suffered from ADHD, colic, failure to thrive and more chronic conditions that don’t respond well to other avenues. We welcome your entire family to experience what we can do for them! As our name indicates, our primary technique is Gonstead. It’s appropriate for all ages and can help you reach your health goals. It is highly precise, identifying issues present in your structure and the biomechanics of your body. We then make the proper corrections so that you can enjoy optimal well-being. You’ll find that our chiropractic office is a pleasant place. Your entire family will feel comfortable. That’s because our team is compassionate and caring. We’ve had many people say that they’ve been to other chiropractic offices but have never experienced the level of service that we provide. When you come in for care we will take the time to listen to your concerns. Then we’ll deliver natural solutions to get you the results you’ve been seeking. Contact our chiropractic office today to schedule your first appointment! We’re in-network providers with many insurance plans. Same-day appointments are available. We feature emergency hours.